That’s the overarching plot of the book Vanessa and Tim decide to tackle in this episode. 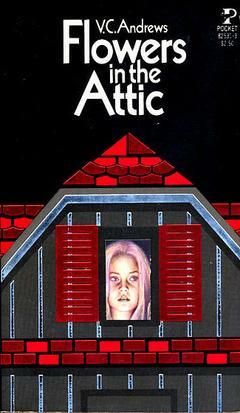 Flowers in the Attic is about a family who is very happy until tragedy strikes. Dad gets killed in a car accident, the quickest way to remove a pesky spouse for the purposes of drama. This kicks off the plot of a coming of age story. Having no income, the mom decides to move back in with her rich parents. For reasons we will learn later, they are stuffed into a room in an unused wing with access to the large attic. There are secrets revealed about the children and their parents and weird moments that, thankfully, get cut from the movie. Just believe us when we say it’s incredibly creepy.